When most people think of Cyprus, they think of beaches and blue sea, perhaps night life, maybe history... 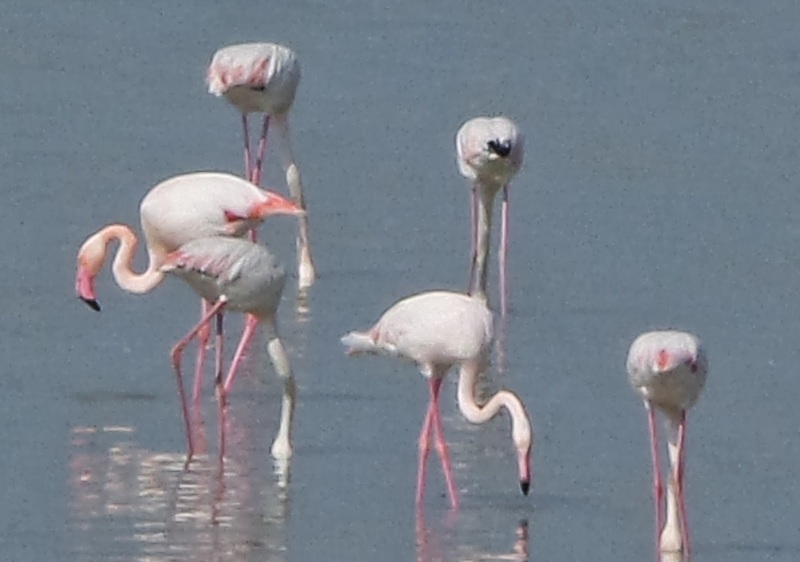 I think very few people would associate Cyprus with flamingos. Yet every year, as the winter rains re-fill the salt lakes, hundreds of Greater Flamingos arrive and feed in the lakes. 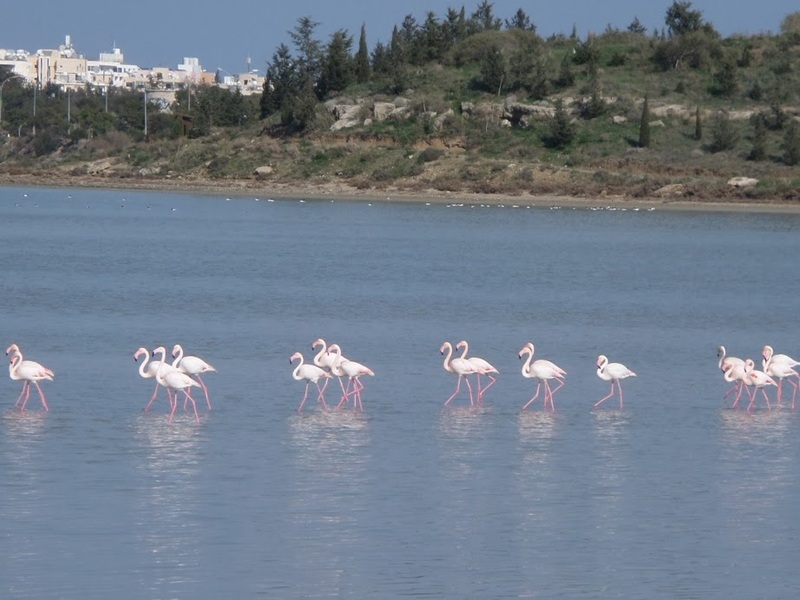 They can be found in the salt lakes near Larnaca (Aliki) and Lemesos (Akrotiri), as well as in the wetlands and smaller lakes around the island, such as Oroklini and the area by Kalavassos. They arrive in about December and stay until around March. I love going to see these birds. Sometimes you can just make them out from a distance, out over the Salt Lake at Larnaca. Other times there seems to be hundreds of them spread out in small groups. 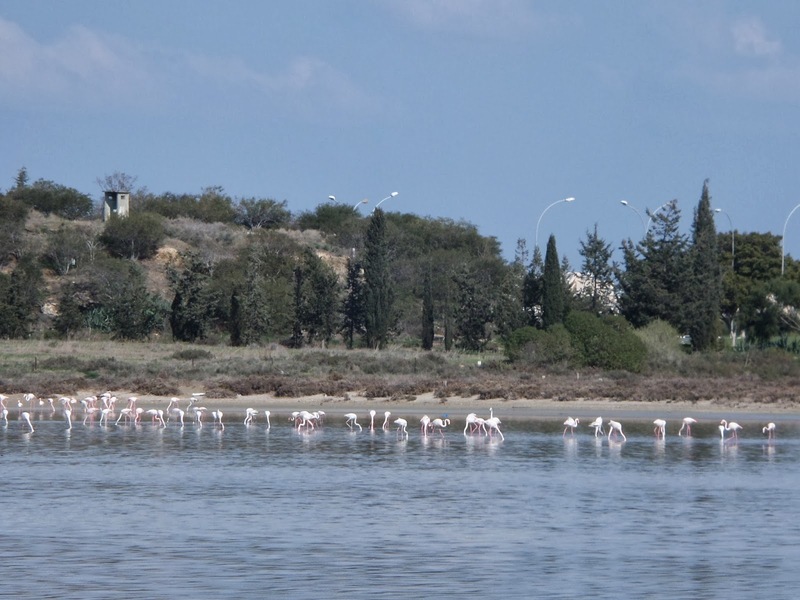 At the small nature reserve on the road to Oroklini from the Dhekelia Road, there is a small lake by the road where you get a great view of the birds. Here you see flamingos mixing with much less 'exotic' ducks as well as other migratory water birds. 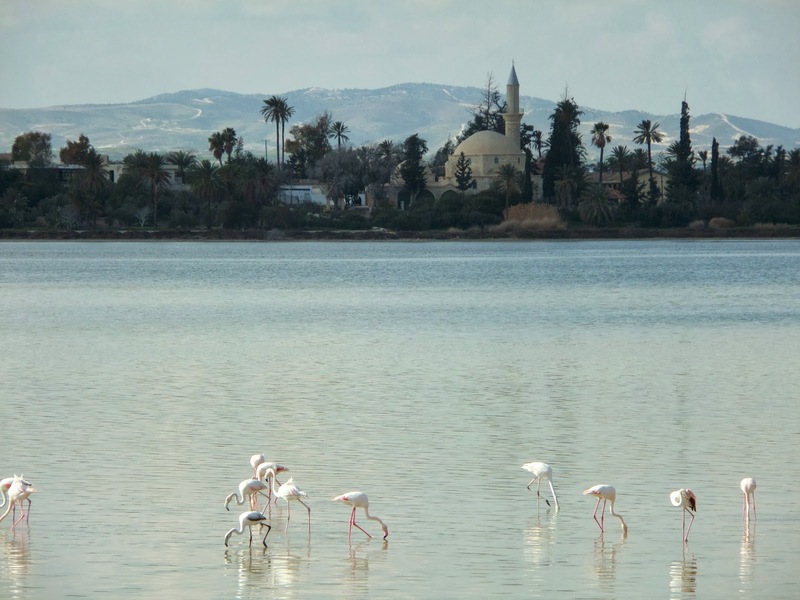 The number of flamingos wintering in Cyprus changes each year, depending on rainfall and how much water is in the lakes and wetlands. 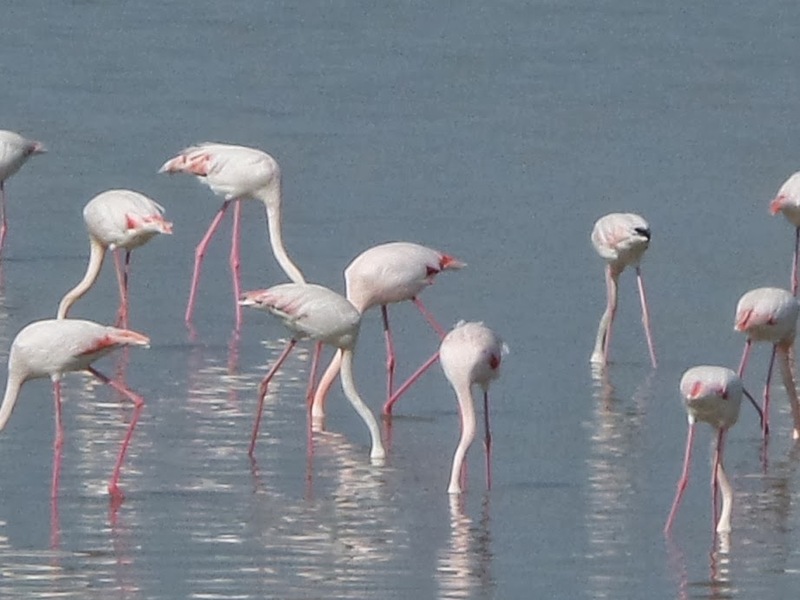 A Cypriot friend of ours said that this year the numbers seem to be particularly low, and other years he remembers the lake turning pink from the thousands of flamingo visitors. As well as problems caused by a lack of rain, flamingos and other migratory water birds are suffering from the destruction of their natural habitat (the wetland areas) through over-development. On this very built up island, preserving the small areas of wildlife that remain is extremely important. Another major concern is the close proximity of Larnaca airport to the Aliki, their favourite of the feeding grounds in Cyprus. I have read that there are literally hundreds of collisions every year between the birds and low flying aircraft. I really hope that this amazing wildlife is given the support and conditions needed to enjoy their holidays in Cyprus too.